On Tuesday evening, Italian journalist Gianluca Di Marzio posted an exclusive which suggested Manchester United retain a strong interest in Roma’s all-action midfielder Radja Nainggolan and that an enquiry was even made earlier this season. The Belgian would be a perfect addition to Jose Mourinho’s team at Old Trafford although any pursuit of Roma’s dynamic star is likely to end in disappointment with there being several difficulties in prising him away from the Italian capital. The elephant in the room is United’s participation in next season’s UEFA Champions League; this is by no means guaranteed with the club likely needing to win the Europa League to qualify. 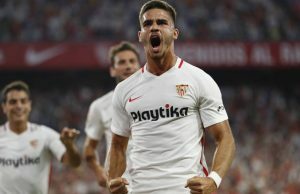 Should the club not be involved in the continent’s premier club competition for a second successive year it might be a blow to their allure in the transfer market, particularly to players over the age of 27 with it now a necessity that they play at the very highest level for as long as they can. Jose Mourinho has drawn up his transfer plans for the summer and it is believed that the club are fairly far down the line in their attempts to secure the signatures of certain players, namely Antoine Griezmann. However, with that said, it is known that the Portuguese coach has two target lists: one for if Champions League qualification is confirmed and another if the Manchester club finds themselves in the Europa League again. At 28 years old (29 on Thursday), Nainggolan will very much be present on the Champions League only list. With Roma likely to qualify for the tournament via a top three finish in Serie A there is almost no way the powerful midfielder will make the move in United fail to qualify. Now it isn’t all doom and gloom for Manchester United supporters who wish to see the iconic Mohawk bursting from box-to-box at Old Trafford next term. The club still holds a reputation rivalled by only Real Madrid in world football, you simply can’t argue against that, and with the serious finance that they can now offer as a result of a rather successful commercial strategy in recent years, there is perhaps no other club that can compete with Ed Woodward in the transfer market for most players. 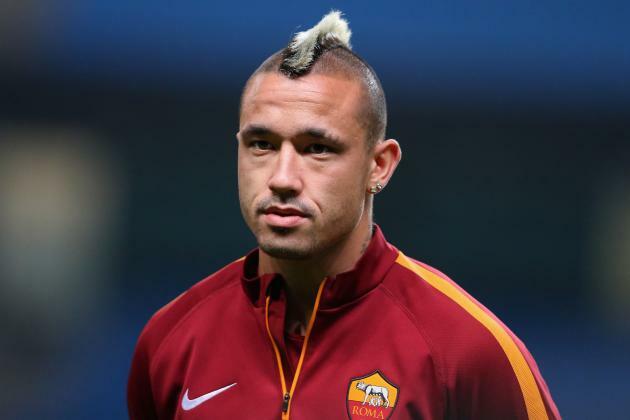 Nainggolan has made no secret of the fact he loves Roma, the city of Rome and the club’s fervent supporters. He has publically declared his desire to stay every single time his name has been linked with another European club and even rather sensationally fell out with former teammate Miralem Pjanic after he swapped Rome for Turin last summer. With that being said there may well be concerns from Nainggolan’s camp about Roma’s direction with coach Luciano Spalletti likely to leave despite guiding the club to second place in Serie A with four matches left to play. 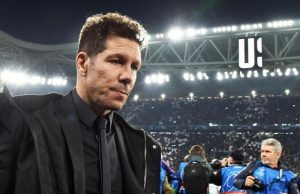 Roma are a club looking for stability yet going through another coach with concrete progress still yet to be made on their new stadium, there is every reason for the club’s stars to be concerned about just how the team can possibly catch and overtake Juventus. What is even more worrying is that Roma have been this way for years. After a bright start to the noughties the club hit hard times and have only just started to reclaim their spot at the top table of the Italian game. Nainggolan need look no further than one Daniele De Rossi if he has any doubts about the direction of the Italian giants. De Rossi is an academy product at the Stadio Olimpico and holds bandiera status along with Francesco Totti. He resisted the advances of Real Madrid early on in his career and then later turned down a move to Roberto Mancini’s Manchester City in 2012 all the while Roma was struggling to find their feet and challenge for honours. The Italian’s love for the club makes up for missed opportunities abroad but unless Nainggolan’s feelings are on a similar scale, he may well look to his captain and not wish to repeat his decisions when he could find serious success at another club. Price will be another stumbling block with Roma having tied the former Cagliari midfielder down to a new contract in October of 2016. This deal runs until 2020 and it is likely a fee upwards of £50 million would be necessary to even force the capital club to look twice. Manchester United’s midfield does lack drive. Ander Herrera has enjoyed a fine season under Mourinho and is perfect for the role he plays. Paul Pogba has been wonderfully creative throughout the season but has been let down by the poor finishing of his teammates, yet it must be said he needs defensive help. Nainggolan would do a lot of running for him, something Claudio Marchisio did back in Turin and it would greatly improve the balance of United’s midfield. It is alarming how the club has looked unable to create chances in the Frenchman’s brief absence with their only goal in that time coming from the penalty spot. Jose Mourinho’s second spell at Chelsea was characterised by his second summer in charge. In the first year, he worked out who he could use and who he had no place for. He then identified key positions and bought accordingly which led to the team lifting the Premier League title the very next season. 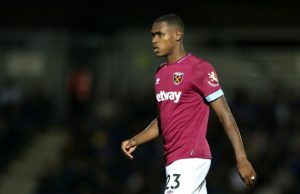 It is likely he will have made similar decisions on members of Manchester United’s first-team squad already and now it is just a question of who the club can bring in. Radja Nainggolan makes perfect sense from a footballing perspective but there are simply too many hurdles, it would be a major shock if the Antwerp born star was to swap Rome for Manchester this summer and it may be worth United looking to other targets as the season nears its conclusion. Next Story → Shkodran Mustafi: Is the big Arsenal signing just another Koscielny?